Good morning, tune into the fourth episode of "Axios on HBO" on Sunday at 6:30pm to hear from Bill Gates on some of the issues we cover here in Generate and in my Harder Line column regularly. Speaking of that, my latest column looks at the Obama-era environmental policies President Trump isn't rolling back, including a scoop on the latest sage grouse conservation plans. I'll share that, and then Ben Geman will guide you through the rest of today's news. Between the lines: Behind Trump’s aggressive agenda rolling back environmental regulations are a small handful of moves that look like they might have come from the Obama administration — and some of them even did. 1. Bird conservation plans: Last year, Interior Secretary Ryan Zinke signaled he was prepping a big overhaul of a 2015 deal Barack Obama’s Interior Department inked with Western governors and others to protect the sage grouse. The habitat of this chicken-like bird stretches across millions of acres of Western land that’s also home to oil drilling and other development. 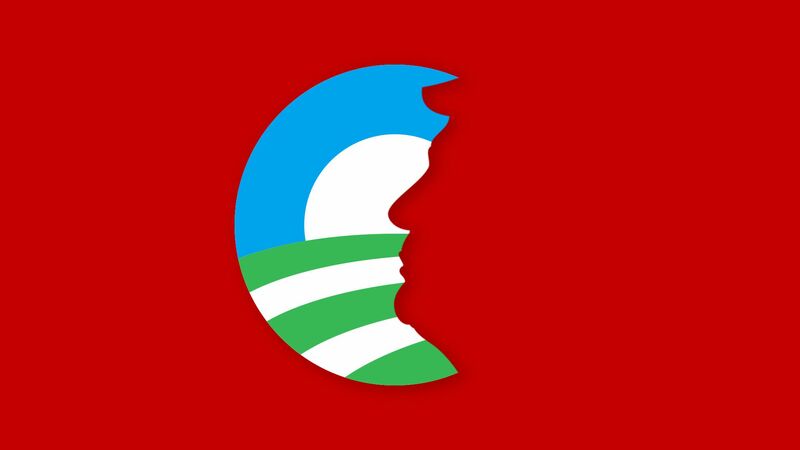 Now, the department is gearing up to release a plan in the coming weeks that looks an awful lot like what Obama did, according to multiple people familiar with the development. 2. Truck pollution standards: Announced last week, the Environmental Protection Agency’s plans to tighten nitrogen-oxide standards for big trucks marks the first time Trump’s EPA moved to make an air-pollution regulation more stringent, not less. 3. Offshore wind leasing: Interior has prioritized new federal leasing of water for offshore wind power, and it announced last month it had scheduled a highly anticipated auction of federal waters off Massachusetts for Dec. 13. 4. Onshore wind and solar rule: Just days after Trump’s election victory, Obama’s Interior issued a final rule governing leasing for wind and solar power on federal lands. It remains in place today. 5. Kigali climate-change amendment: Named after the Rwandan city where it was signed in October 2016, the Kigali amendment to the Montreal Protocol, an environmental treaty, phases down the use of potent greenhouse gases known as hydrofluorocarbons (HFCs). HFCs are emitted from refrigerants in everyday appliances and car air conditioners. For it to go into effect in the U.S., the State Department needs to send it over for review in the Senate. That hasn’t occurred, and there’s no sign it will any time soon, according to people close to the policy. That would mean the Trump administration isn't rolling the policy back. My thought bubble: While being ignored is not ideal, it’s better than being rejected, like what Trump did with the Paris climate deal, those involved say privately. The industry can afford to wait: the next big phase of the policy isn’t until 2024. Go deeper: Click here to read the full details of each policy. Breaking Monday: "Russia’s energy minister insisted the country and its allies in OPEC need to watch the oil market in the coming weeks before making any decisions to cut output," Bloomberg reports. Why it matters: The Russian wavering is a sign of tricky negotiations looming in Vienna next month with OPEC and allied producers will discuss dialing back production to prop up prices, which have tumbled by roughly $20 per barrel since early October. The intrigue: The Bloomberg piece lays out why Russian and Saudi interests are only aligned up to a point. It reports that the Saudis need prices around $73 per barrel to balance their budget (Brent is trading at almost $67 this morning). The other side: "In Russia, the state budget is much less dependent on oil prices than it was when the country agreed to join OPEC-led efforts to rebalance the market back in 2016," Bloomberg notes. But, but, but: "Market expectations continue to grow that OPEC+ will agree to cut production at their meeting in early December by anywhere between 1-1.4MMbbls/d," ING analysts said in a note Monday. Officials from several oil, power and industrial giants say in a new analysis that there's a cost-effective path to "net-zero" emissions by 2060 from economic sectors that are tricky to decarbonize — like cement, steel, chemicals, heavy trucking, and shipping. The report from the Energy Transitions Commission will be available here at 9am ET. Why it matters: While clean power and passenger vehicle tech gets lots of attention, one huge challenge is economically wringing carbon out of what the report calls "harder to abate" areas that account for nearly a third of industrial and energy emissions. "To date, many national strategies — as set out in Nationally Determined Contributions (NDCs) to the Paris agreement — focus little attention on these sectors," the report states. The big picture: The new report arrives weeks after a major UN-led scientific analysis concluded that to keep warming within 1.5ºC above pre-industrial levels, human-caused CO2 emissions must reach "net zero" by roughly mid-century. Oil majors Shell and BP, and power companies including Engie and Vattenfall. Industrial heavyweights like building materials giant Saint-Gobain, the water and waste management firm Veolia, and the Indian conglomerate Dalmia Bharat. Finance sector players HSBC and the European Bank for Reconstruction and Development. NGOs like the Rocky Mountain Institute, the World Resources Institute and Sustainable Energy for All. What they found: Getting to net-zero from these "harder to abate" sectors could be done for less than 0.5% of global GDP using largely known technologies, although a number have yet to reach commercial readiness, and more innovation is needed. Their roadmap is a mix of strategies broadly grouped around energy efficiency gains, reducing demand with steps like better transport logistics, and promoting electrification, hydrogen, sustainable bio-energy, and carbon capture. Investment in R&D and commercialization. Steps to ensure that increased demand for power from electrification is met with clean energy. Public support for infrastructure such as long-distance transmission to enable greater renewables penetration, railways, and electric vehicle charging. Green fuels mandates for aviation and shipping. Between early August and early October, crude oil prices shot up by approximately $20 per barrel in anticipation of the Trump administration's Nov. 5 re-imposition of oil export sanctions on Iran. But in the first week of October, amid speculation of a $100-per-barrel market, crude prices suddenly reversed course. Between the lines: The reversal illuminates the influence of geopolitics on the crude market, including the shifting role of Saudi Arabia as a major balancing force. Saudi Arabia ultimately bowed to U.S. pressure, but its hesitation speaks to an erosion of the U.S.–OPEC relationship as Russia’s influence has grown. Background: Saudi Arabia initially declined to heed U.S. calls to increase crude oil production, and prices began to rise. Only in the wake of Jamal Khashoggi’s murder did the Saudi government commit to production increases. Lower global crude demand projections into 2019 and sanction exemptions for major oil consumers such as China, India and Japan also helped to lower global crude prices. U.S. oil production is at record highs, but the U.S. neither owns nor controls the output, and so the U.S. can't use it as a geopolitical tool the way Saudi Arabia or Russia can. Saudi Arabia’s reluctance to heed U.S. requests, along with OPEC and Russia’s agreement over production cuts through 2019, indicates that U.S. influence in the Middle East and over OPEC could be eroding. The limitations of the Trump administration’s "U.S. energy dominance" strategy have also been exposed. Meanwhile, Russian influence in the Middle East appears to be growing. Read more of the piece in the Axios stream. Oil companies active in the Permian Basin are jointly pledging $100 million over several years toward education, infrastructure, housing needs and workforce training in the region at the epicenter of the U.S. production boom. Why it matters: The weekend announcement from the Permian Strategic Partnership is a recognition that the oil surge is also creating problems in the region. The influx of workers and development has strained local roads, public services and caused housing shortages in the part of Texas and New Mexico that's now producing roughly 3.6 million barrels per day and climbing. Drug charges in Midland, Texas, doubled between 2012 and 2016. Traffic accidents in Ector County jumped 29% last year. Who they are: The group of over a dozen companies includes Chevron, Shell and the Exxon unit XTO Energy, as well as large independent producers like Anadarko and Pioneer Natural Resources, and drilling services giants Halliburton and Schlumberger. What's next: The group says it's opening an office and announcing leaders and staff in coming months and convening meetings with local stakeholders. They want to aid, not duplicate, the work of governments and civic groups. "Building new roads, recruiting new doctors and teachers and developing new neighborhoods will require years of work, substantial resources and sustained cooperation among many entities," the group said. "But we share a sense of urgency with our communities to find both interim and long term solutions." 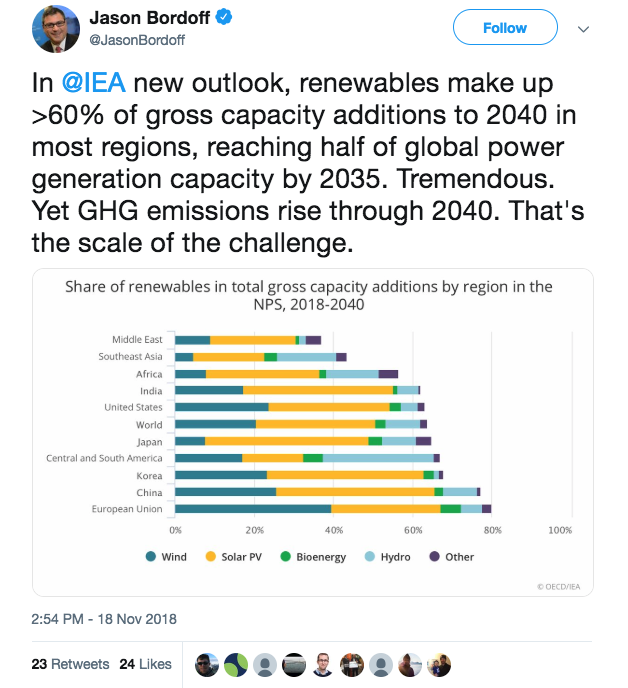 Who tweeted it: Jason Bordoff is founding director of Columbia University's Center on Global Energy Policy, and a former White House energy adviser under Obama.